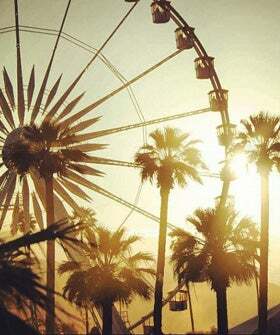 We’re sure many of you are still staggering around in a post-Coachella haze (we know we are). Do you feel like it was just yesterday that you were jamming out in Indio to the beats of your fave bands (and one Tupac hologram)? Um, that’s probably because it practically was (more accurately, it was a little over a month ago). And as quickly as the mega-music fest came and went — it’s back again (kind of).